When it comes to makeup, I’m a pretty simple gal so my version of this post will probably be boring to most. I don’t do department store makeup brands. I don’t wear fancy primers or use fancy wrinkle creams. And I rarely shop at Ulta. I mean, I only recently found out that there was such thing as eyelash primer. Huh? If you can’t get it at Target, then chances are, I’m not going to buy it! It’s definitely a cost thing… I just cannot bring myself to pay $15+ for something that will be used up in a couple of months that I can get something similar way cheaper at Target. While I do wear makeup every single day (I never leave home without it!) I keep my routine pretty simple and it literally takes me less than ten minutes to put on my entire “face” for the day. Haha. Every single day I wear moisturizer, foundation, powder, blush, eyeliner, eye shadow, mascara, and lip gloss. Some days I add lip stick, but that’s usually only for church, date night, girls’ night out, or some other special event. Foundation – I absolutely adore Maybelline Dream Liquid Mousse . I have very sensitive skin on my face, and after I shower, my whole face turns red. This is the only foundation that I have tried that actually covers the red splotches well. It pretty much hides every single imperfection on my face and gives me a flawless, airbrushed look. 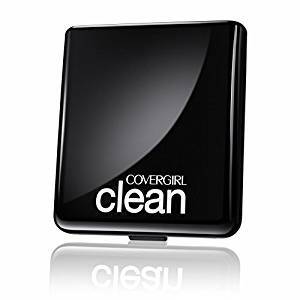 Powder – I use Covergirl Simply Powder Foundation. Technically it’s a foundation and powder in one, but it doesn’t provide enough coverage for my splotchy skin alone. I do like that it's compact and not loose as I don't do well with loose powder. I have been using this for probably ten years and I love it! 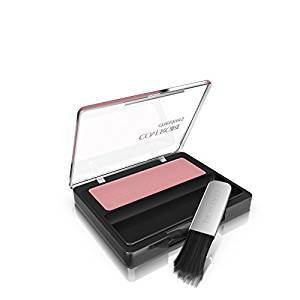 Blush – I have been using the same exact brand and shade of blush since I was a teenager… Covergirl Cheekers in Rose Silk. It is perfect with my skin tone and it goes on nice and smooth. 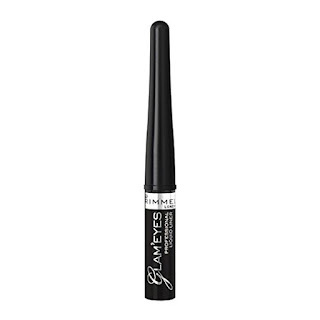 Eyeliner – I wear liquid eyeliner on my top lid and after trying many different brands throughout the years, I found that Rimmel's Liquid Liner is the easiest to apply because it has such a short brush. For lining my bottom lids, I use the darkest charcoal part of my eye shadow for a softer look. Eye Shadow – Confession: I have never owned an eye shadow palette with more than three colors. I know that the Urban Decay Naked Palettes are all the rage, but frankly, anything with that many choices intimidates me. Not to mention the fact that I probably won’t use the majority of them. Oh, and experimenting with different combinations? #AintNobodyGotTimeFoDat I started using the Almay palettes a few years ago and I love mine! I have green eyes, so I have always worn purples, greys, charcoals, silvers, and other smoky colors. This palette right here is just perfect! Plus it’s incredibly inexpensive and I always use the entire thing so I don’t have to feel guilty about waste. Mascara – I use Covergirl Lash Blast Volume. It gives my eyelashes tons of volume and it really thickens them. 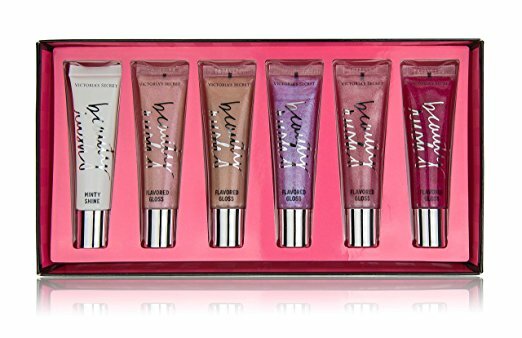 Lip Gloss – Friends, it does not get any better than the Victoria's Secret Beauty Rush lip glosses! I love them because they add a bit of color along with extreme shine. And it lasts for so long! I don't have to reapply nearly as often with these. Lip Stick – I don’t wear a lot of lip stick, so I don’t really have a favorite brand or shade. I pretty much just try anything that I think will look good, and I typically stick to rosy pink shades as they look the best with my skin tone. Right now my very favorite is Maybelline ColorSensational Lip Color in Pink Peony. 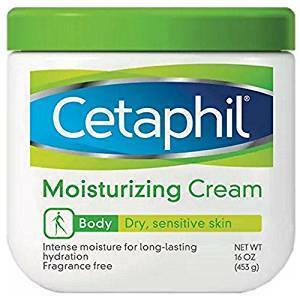 Moisturizer – I love plain ol' Cetaphil. Good, traditional, non-fancy Cetaphil. It’s great on my super-dry skin, but it’s not greasy and it doesn’t make me break out. Self Tanner – I have always loved Jergens Natural Glow Moisturizer for a subtle glow, but I recently bought the Jergens Instant Sun for a quicker and darker faux tan, and it is great. You do have to be careful around elbows and knees, but other than that it goes on pretty smoothly, it dries pretty quickly, and it doesn’t stink as bad as most other self tanners. Body Lotion – This is the only department where I shop somewhere other than Target. I am a Bath & Body Works girl through and through and have been since I was in my early teens. The very first scent I started wearing from there was Sun-Ripened Raspberry when I was probably 12 years old and then I moved on to Cucumber Melon, Sweet Pea, and so on. There are a few different ones that I wear at different times during the year... I switch them out for the season. My fall scent is Black Raspberry Vanilla, my Christmas scent is Winter Candy Apple, and my New Year's scent is Champagne Toast. I am obsessed! Then in spring and summer I always wear something fruity or floral... that's the time when I like to try new scents! Shampoo – I just love L'Oreal Volume Filler Shampoo. I started using it a couple of years ago and it really does seem to make my hair have more volume. My hair is naturally thin and straight, so I need all the help I can get! No conditioner here! It makes my hair look FILTHY. 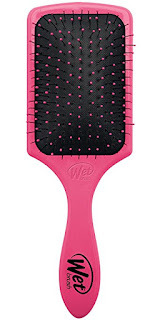 Wet Brush – Best. Invention. Ever. I have a paddle brush for myself and a traditional one for Olivia! 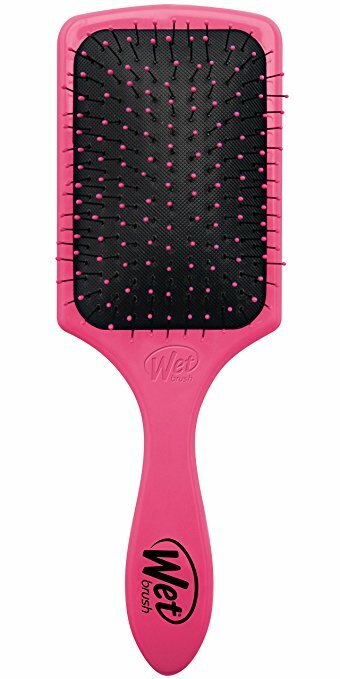 I'm confident in saying that I will never use another hair brush ever again as long as they are making this one. Nail Polish – The Insta-Dri line from Sally Hansen is just amazing you guys. It dries so fast. I’ve gotten to where I only buy this now. It’s perfect for wiggly toddlers who want their “shownails” (fingernails) painted. Well, that's about it! My apologies if my drugstore tastes bored you… it’s just who I am! Maybe one day I’ll branch out and try some fancier things, but for now, I heart Target and Amazon for all things beauty! 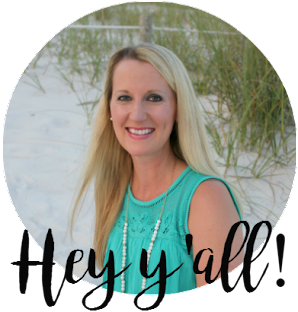 *Linking up with Home of Malones for Thoughts for Thursday. 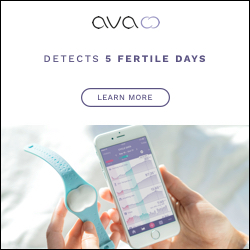 To link up – just grab our graphic, link up, and let’s get to chatting! 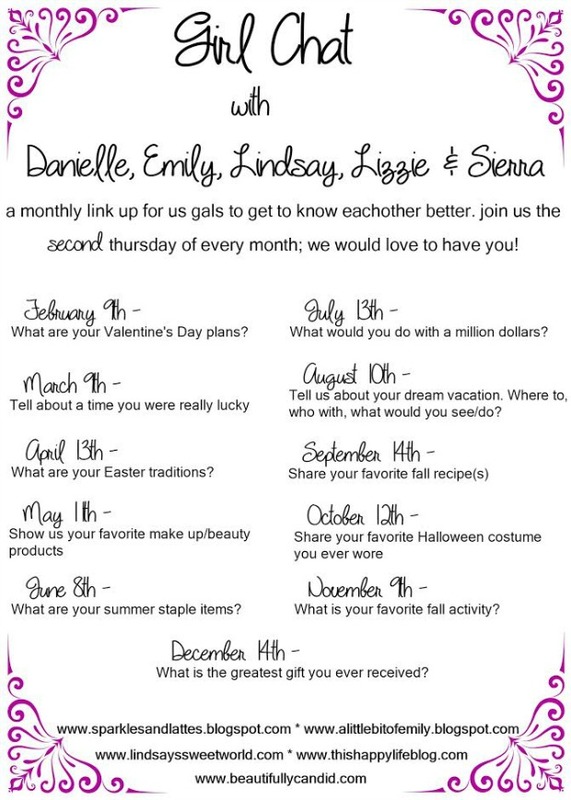 Make sure to stop by a few others in the link up for an extra bit of girl chat! And don’t forget to follow your hosts! I just recently started using bare minerals and the thing I hate the most is that I can't get it at Target. Ulta isn't super convenient so I have to plan a trip there. Ha. There's nothing wrong with being a simple gal! I've got to try that foundation, it sounds amazing. And for some reason, I've never bought a wet brush. I've got to try that out! 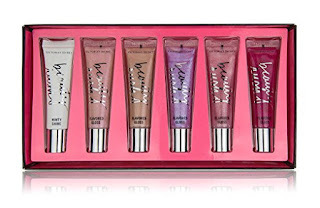 Those VS lip glosses look awesome!! And would make a great gift! And yes, Wet Brush for the win!! My kids never complain anymore when I brush their hair!! I'm a pretty simple girl too. And many days, I don't even wear makeup. Girl, you are so lucky! I wish I didn't have to wear makeup. I look dead without it. Lol. Wet brush is the bomb. I remember loving a VS gloss I got once that had lip plumper in it. I don't have the time to spend hours in front of the mirror in the morning so keeping it simple is the only way to go. The Wet brush is a must for me, too! I have never tried that nail polish, but I would LOVE anything that dries super fast. I always get too anxious and end up messing up a nail or two! I use that VS lip gloss and LOVE it. I use it everyday all day long and I talk a lot with my job. It stays glossy and doesn't feel heavy. I am a liquid eyeliner girl too and will have to try this one. I am currently using ELF. I agree with you about the Urban Decay pallet. I got it for Christmas a couple years ago and after awhile I only used the same colors on repeat and most of the pots were still full when I got rid of it. Your routine and mine is very similar! I'm all for the inexpensive! I own an eyeshadow palette but tend to always use the same colors so it probably wasn't worthwhile. I have the natural glow moisturizer and really need to start remembering to use it, lol! I also use a wet brush. I recently realized I have a bald patch on the back of my head and I really hope it's not caused by the brush! I use Cover Girl cheekers blush, Sally Hansen Insta-Dri, and live for the wet brush! I used to only use department store makeup but have since done a 180 and only use drugstore brands! Maybelline makes an awesome pen called the Lumi that would pair well with their foundation. I love the wet brush and I use cheaper mascaras because the expensive ones aren't any better. 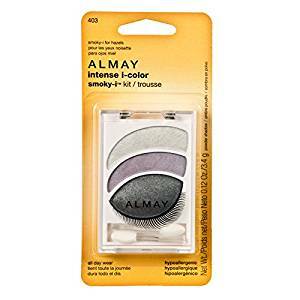 I love Almay's eye shadow palette as well, but only use it sometimes. 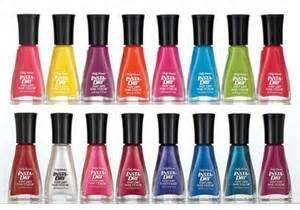 I have always used Sally Hansen nail polish because it dries fast, they have amazing colors and it is cheap. I am a simple girl too & cheap!! I also love the Wet Brush!! It is a must have for me!! BEST.BRUSH.EVER. I will never own another one again. 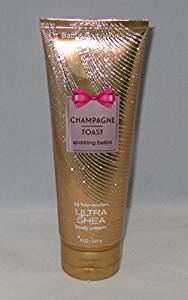 Champagne toast is still my favorite lotion! I use it on date nights only and it's almost gone! I love it. Ha I'm kind of like you and that's part of the reason I didn't do this prompt because I felt like I had nothing valuable to add. I am definitely not on the up and up on make-up products, techniques or brands. It's honestly embarrassing how I still use the same blush and lipstick as I did ten years ago pretty much (new versions of course, ha). I like seeing what you do though. It gives me some ideas! I love most drugstore brands too! I will only splurge on the expensive stuff if I have a coupon or gift card. I've used that foundation in the past & really liked it too! And I'm pretty sure I used that same blush in high school too. I had no idea that they still had that color!? Love Jergens Natural Glow! I've been using that stuff off & on ever since it came out and they have really improved over the years! I love shopping at the drugstore too girl, my collection consists of a great range of drugstore products and high end. Love a lot of the products that you use! The Covergirl Lash Blast mascara is my absolute favorite! I've tried more expensive name brands, but it just works so much better for me. I need to try those VS lip glosses and that wet brush! I think I totally have to try that lip gloss now. 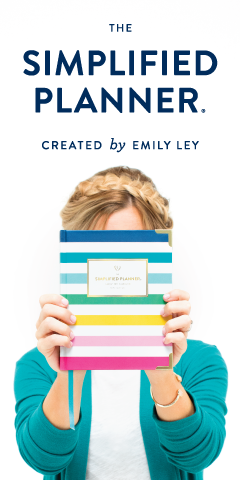 I love that so many of your products are super practical and affordable.